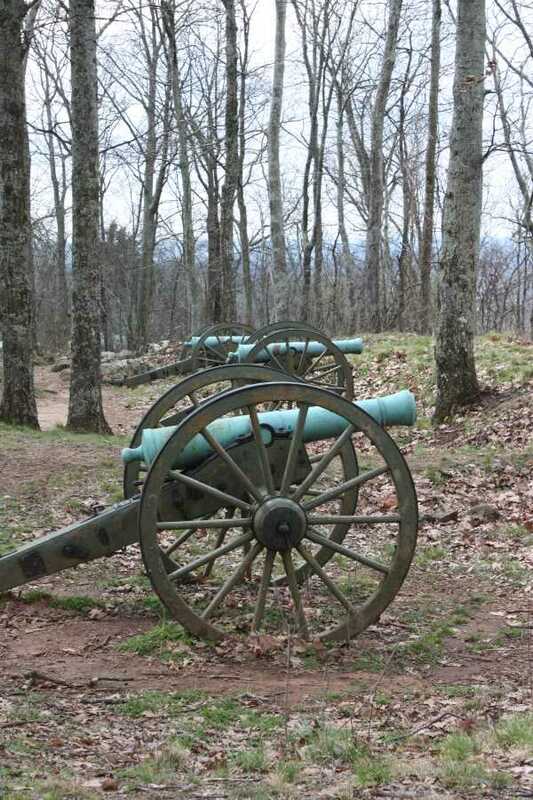 At just under 3,000 acres, Kennesaw National Battlefield Park offers over 15 miles of trails, from short flat walks to climbing the 1800ft namesake mountain. 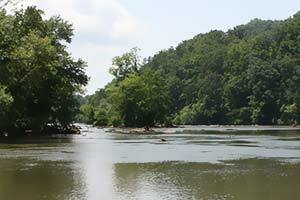 Located northwest of Atlanta with easy access from I-75, the park is very popular. 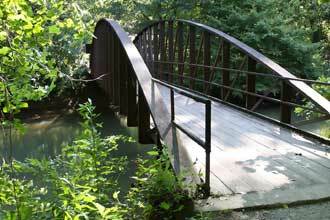 The Pigeon Hill Loop will take you along both crowded and uncrowded sections. Begin the north loop at the visitor’s center parking lot. 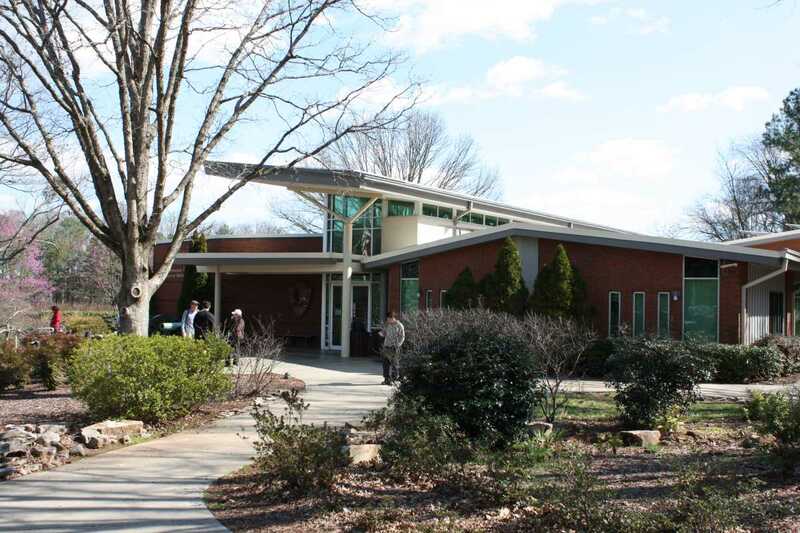 Here you will find restrooms, drinking fountains, and vending machines. Walk past the visitor’s center and cross the road. 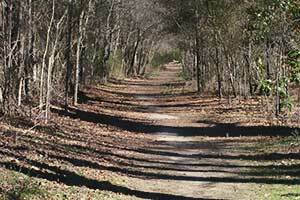 The wide dirt and gravel trail immediately begins to ascend, climbing a total of 680 feet in 1 mile. 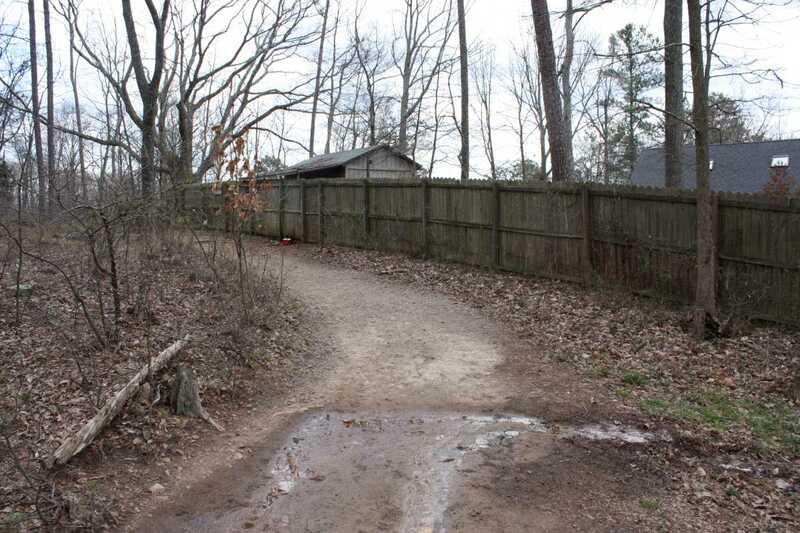 Just after the road, a side trail goes off to the left along a short post-and-rail fence; continue straight. At .26 miles, another side trail splits to the left. 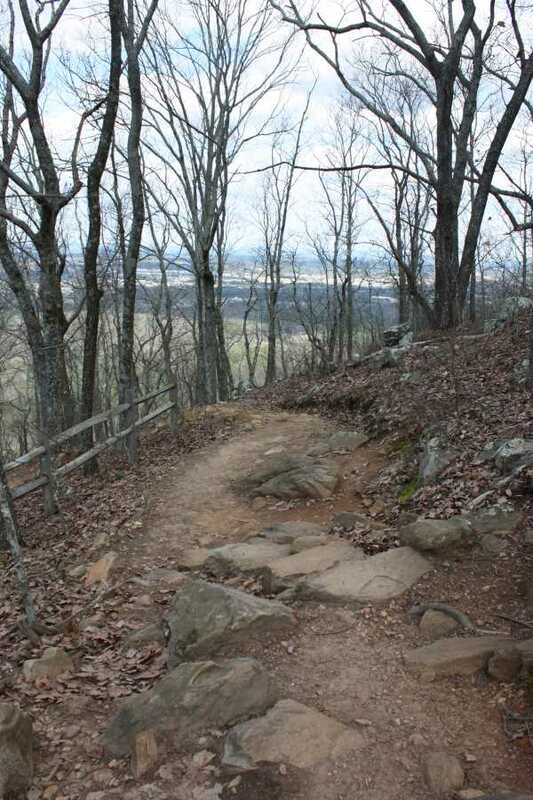 About half a mile in, the path becomes very rocky as it ascends at an even steeper rate up the mountain. 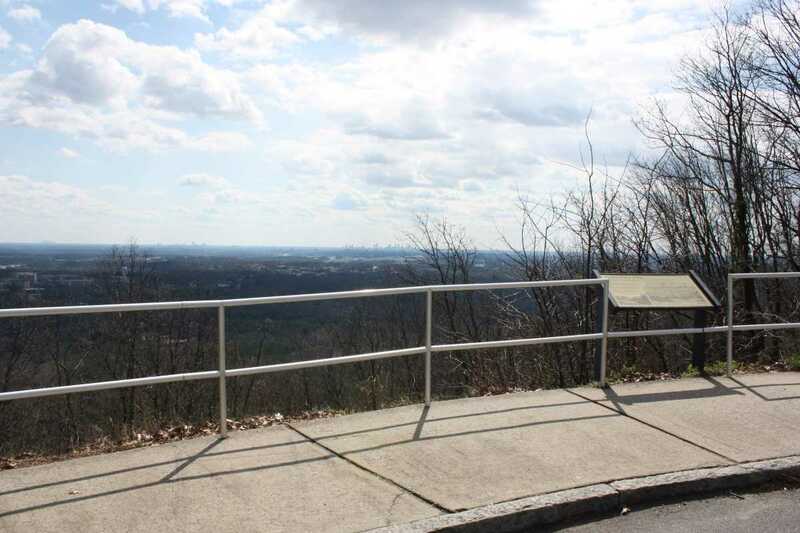 A short paved path with handrail leads you to the parking lot and overlook platform at the top of Kennesaw Mountain. 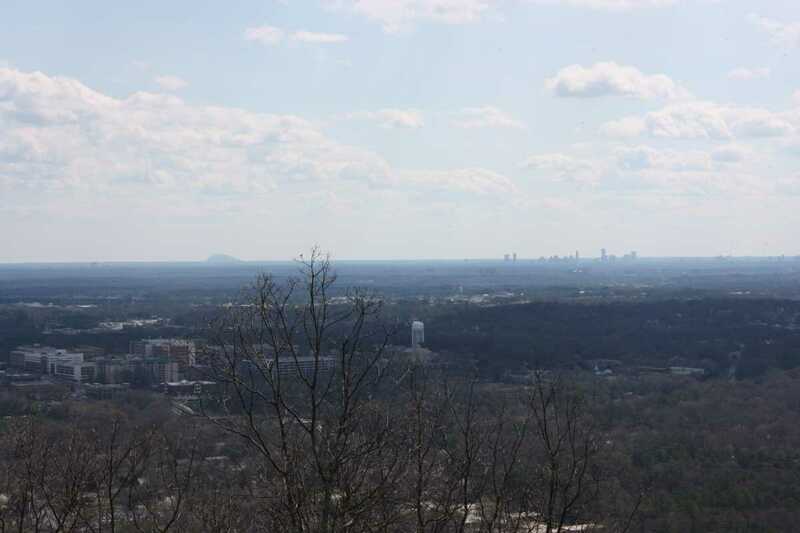 Here you will find sweeping views to the north and south, including downtown Atlanta, Buckhead, and Stone Mountain. For many, this is the end of their walk, heading back down the same way or walking down along the road. 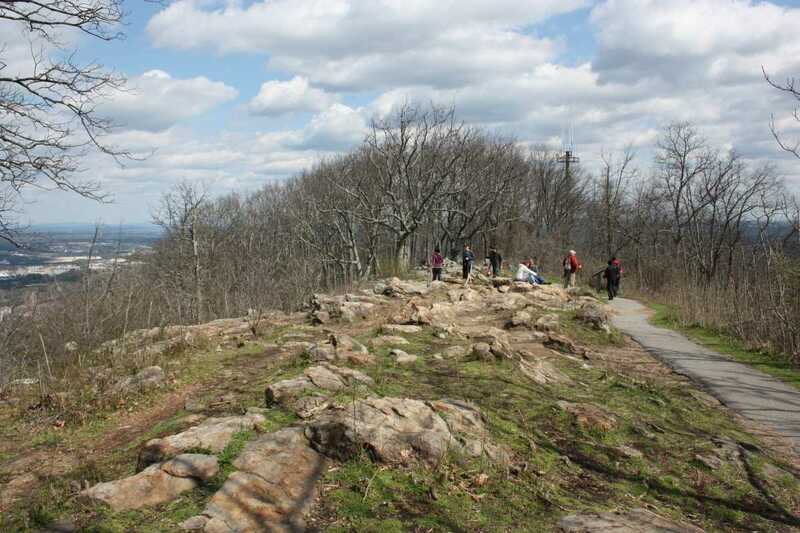 However, continuing a short distance further will take you to the summit of Kennesaw Mountain. 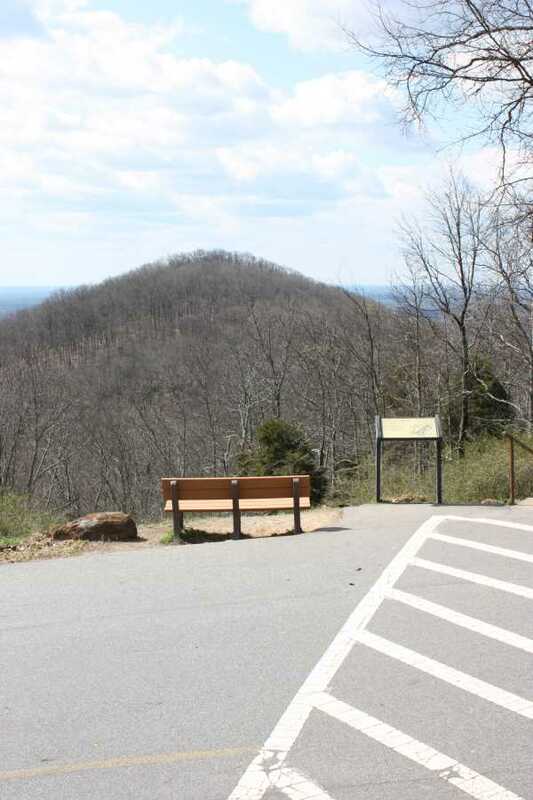 Walk up the steps to the overlook platform and hike the short paved section of trail that leads to the actual summit of the mountain, which affords great views in multiple directions. After passing another canon placement, the trail descends over rocky terrain for the next .2 miles. 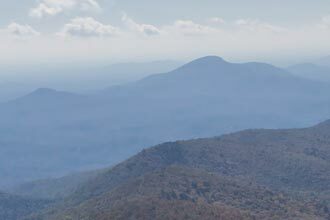 At the road, Little Kennesaw Mountain can be seen rising directly in front of the hiker. 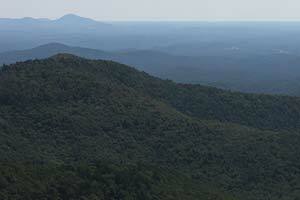 Here again, those who wish can cut the loop short and take the road down the mountain. 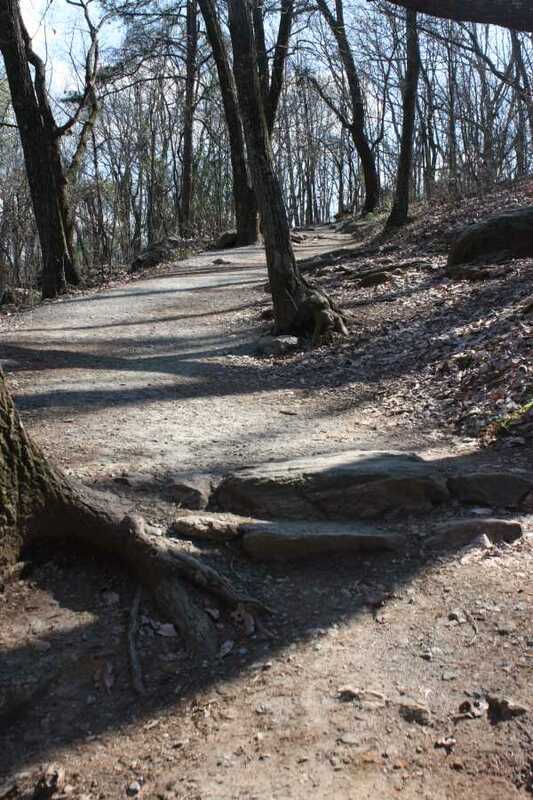 For those looking for a longer hike, the trail continues to descend across the road before climbing Little Kennesaw Mountain. You will notice much less traffic on this portion of the hike. Climbing to the top of the second summit, the trail passes along an open rock clearing before coming to Fort McBride at 1.7 miles, where several more canons have been placed. 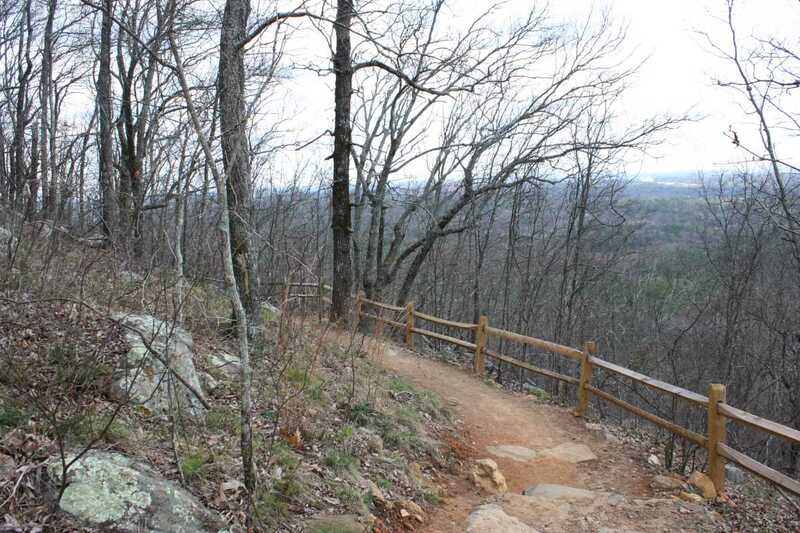 From here, the trail switchbacks down the mountain through an extensive rock garden. 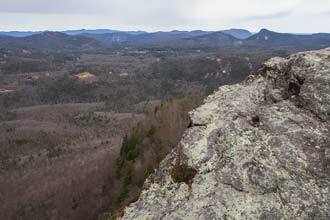 This can be very challenging for some, passing small boulders and navigating large rock steps. 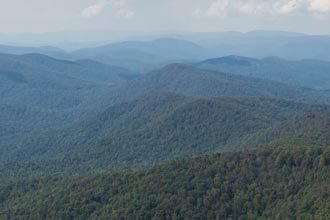 Once you arrive at the base of the mountain, the rest of the loop is relatively flat, giving the hiker a welcome reprieve. At mile 2.5, the trail splits. The path to the left rejoins the trail shortly, making a slightly smaller loop. Continuing straight the trail splits again. This time make a left as continuing straight will cross Burnt Hickory road and take you to Cheatham Hill. After another .3 miles the trail again splits. 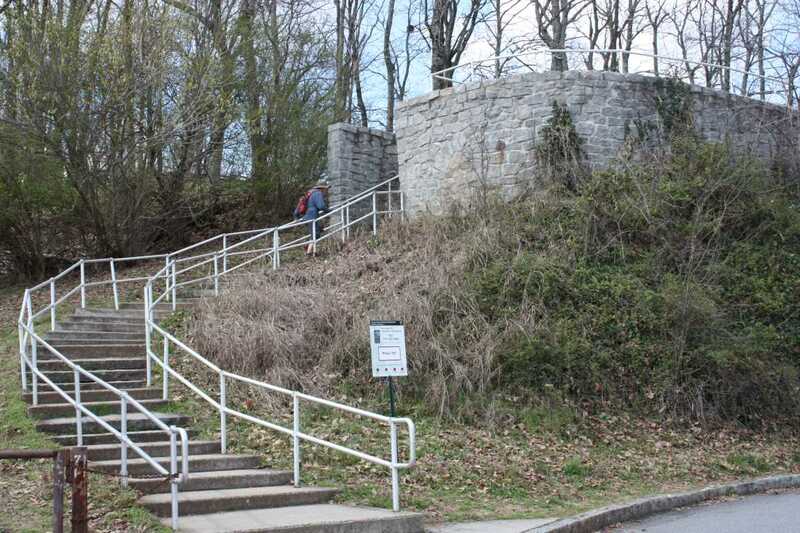 Stay left, right will again take you to Cheatham Hill. Then again, the trail quickly comes to another junction. This is the other end of the shortcut trail to make the slightly shorter loop, so continue straight. 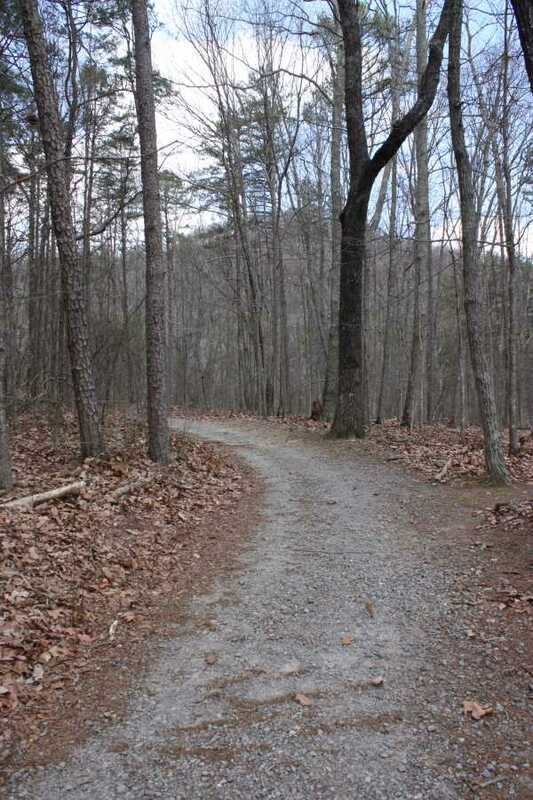 At mile 4.1, the trail passes behind several neighborhoods, before coming to the Civilian Conservation Corps (CCC) camp at a field to the left. 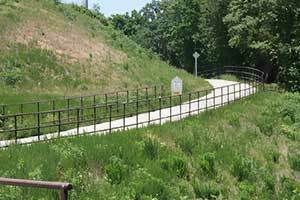 A short loop trail travels around the field, so if staying on the main path, keep to the right. Follow the sign towards the visitor’s center. 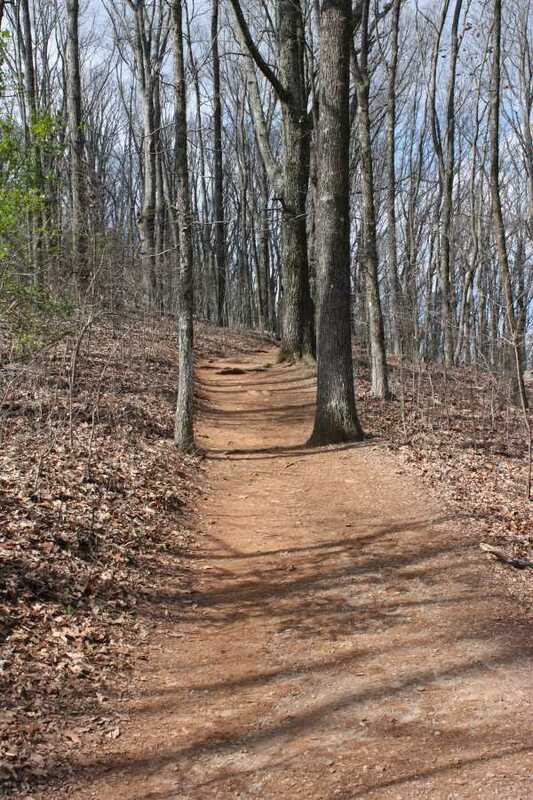 The trail will split one last time, the left path taking you back to the mountain ascent trail, so keep right. 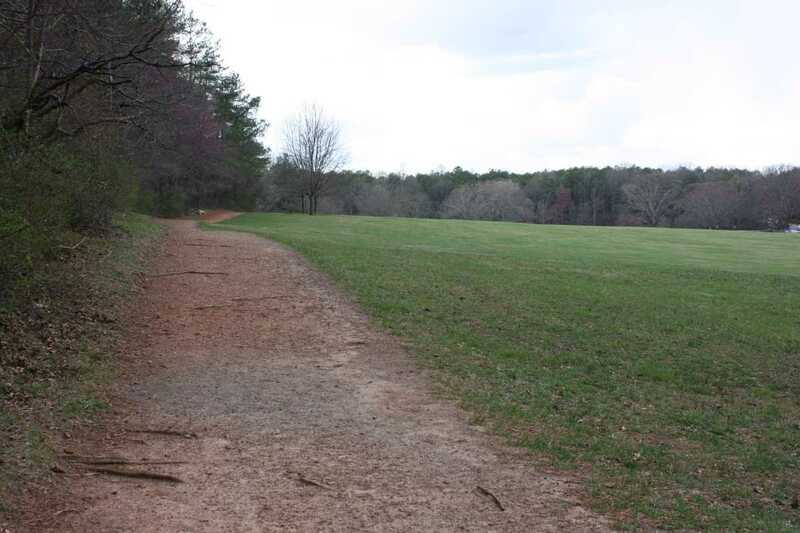 The trail will come out along the open field at the front of the park, passing the Georgia Confederate Soldier Monument to the left across the road. Continue back to the visitor’s center and the parking lot to finish the loop. 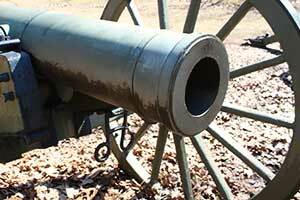 The park claims to be the most visited Civil War battlefield in the country, and as such, can be very crowded in the warmer months, so arrive early to miss some of the congestion. 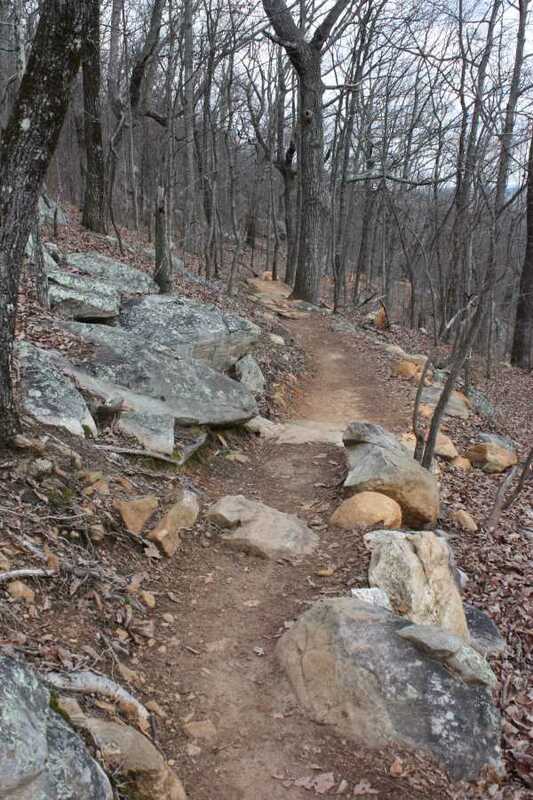 Sections of the loop are very rocky, so take caution to avoid twisted ankles. 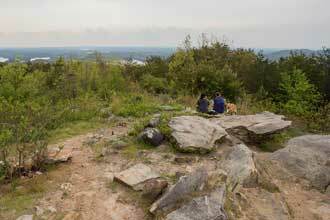 Excellent views from the top of Kennesaw Mountain. This is a great loop but the first section will get very crowded fast. Definitely check this out if you live in the area.